(AUSTIN, TEXAS – March 21, 2018; source: Juice Consulting) – Austin nonprofit Black Fret is proud to announce its 2018 Nominees. The Nominees include A Giant Dog, Billy King and the Bad Bad Bad, Dave Scher, Donovan Keith, Greyhounds, Israel Nash, Jaimee Harris, Jane Ellen Bryant, Jeff Plankenhorn, Kalu and the Electric Joint, Los Coast, Megafauna, Otis the Destroyer, Palo Duro, Rebecca Loebe, Shy Beast, The Texas KGB, Tomar and the FCs, Trouble in The Streets, and Wood & Wire. Black Fret announced the 2018 Nominees on March 14 to over 1,000 music supporters at an event at GSD&M Headquarters in Austin, Texas, while enjoying performances from past Black Fret Artists Brownout (2016 Black Fret Artist), Migrant Kids (2015 Black Fret Artist), Nakia (2015, 2016 Black Fret Artist), Ruby and the Reckless (2015 Black Fret Artist) and Swimming With Bears (2016 Black Fret Artist). Austin-based act The Band of Heathens kicked off the festivities. 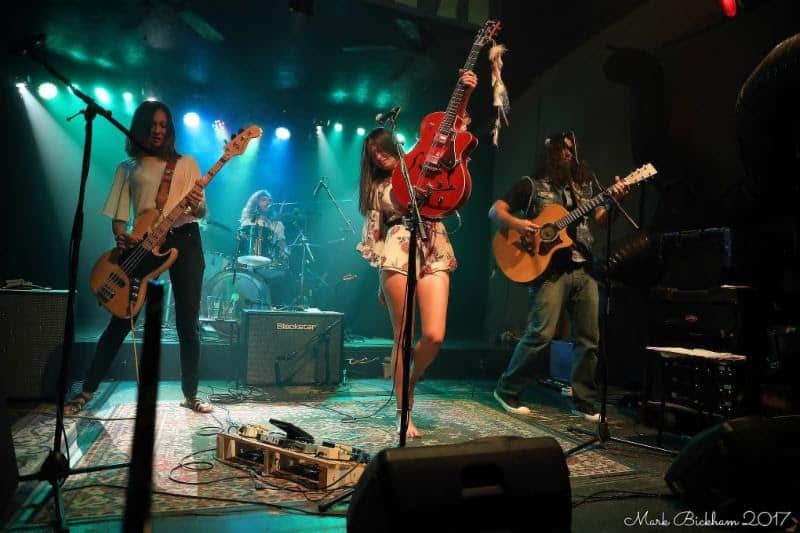 Black Fret 2018 Nominee The Texas K.G.B. The 2018 “Listening Season” will be filled with private listening events for Members, featuring performances by 2018 Nominees, leading to the awarding of major or minor grants to all twenty Nominees at the Black Fret Ball in December. Founded in 2013, Black Fret is a public charity headquartered in Austin whose mission is to empower musicians to create and perform great new music. The organization is an innovative evolution of the age-old symphony patronage model that is focused on supporting popular local music. 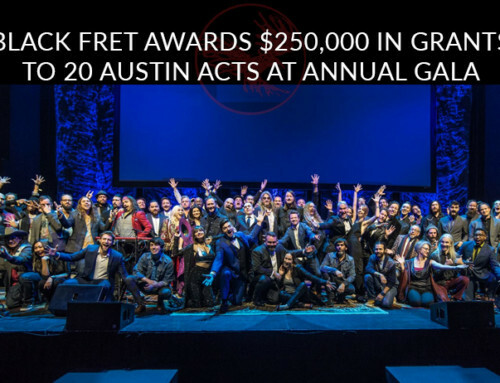 Together, Black Fret’s limited membership seeks to build an endowed institution capable of sustaining more than a million dollars a year in grants to Austin musicians. As a Black Fret Member, you gain access for yourself and a guest to over 20 unique performance events each year, pay annual dues to fund artist grants and performances, and are eligible to participate in the Artist Selection Process. Black Fret grants are directed by a yearlong Artist Selection Process, where Members nominate exceptional artists, gather to see them perform in interesting venues all over the city, and vote to allocate grants awarded at the spectacular Black Fret Ball in December. In just four years, Black Fret has surpassed $1 million in grants and payments to Austin artists. Black Fret grant recipients have unlocked their funds by creating 301 new songs, 214 studio recordings and 164 new songs released as well as performing 441 U.S. and 36 international tour dates and over 121 community service performances for other local charities. Over the next decade, Black Fret will fund hundreds of bands and thousands of new songs while building a new Austin institution capable of supporting the sustained artistic, cultural and economic growth of Austin and the artists who call our city home. Black Fret is grateful to receive ongoing support from generous sponsors such as ALL ATX, Dell Inc., Deloitte Consulting, Ben Milam Whiskey, SunPower Inc., GSD&M, Ben E. Keith Distributors, Whole Foods, Personify, Gibson Brands, The City of Austin Economic Development Department – Music & Entertainment Division, KUTX, The Austin Chronicle, DeMaris Entertainment, Juice Consulting, Nomad Sound, Miscellaneous Rentals, Paramount Theatre, Enterprising People, Tito’s Handmade Vodka, County Line BBQ, Shady Grove, Noon Mediterranean, Frank, Biggs Electric, Social Flash Media and many more. Become a Member today at www.blackfret.org/join. For inquiries, please email sustain@blackfret.org and for more info see www.blackfret.org.